… no-one in the party today argues that state ownership is Labor’s central, defining purpose. The socialist objective dates from a more radical time in the ALP’s history. When it was written in 1921, the Labor Party was responding to a period of industrial unrest and economic uncertainty following the first world war. However, even then the party’s original 1921 commitment to “the nationalisation of banking and all principal industries” was quickly watered down to suggest that collective ownership was necessary only where such industries were being operated in an exploitative and socially harmful way. The Australian Labor Party is a democratic socialist party and has the objective of the democratic socialisation of industry, production, distribution and exchange, to the extent necessary to eliminate exploitation and other anti-social features in these fields. These words already leave a convenient loophole for those modern Labor Party politicians who argue that a healthy private sector is essential for economic growth and employment; that capitalism is not inherently exploitative; and that some basic government regulation, good industrial relations legislation and active unions – rather than nationalisation – is all that is needed to prevent problems of exploitation. It is well over half a century since a Labor government attempted to nationalise an industry. In 1947, the Chifley government unsuccessfully attempted to nationalise the banks – a move which was found to be unconstitutional. However, Ben Chifley only resorted to nationalisation after Labor’s previous attempts to bring in increased government powers over private banking had failed. Far from being part of a radical socialist agenda, Chifley’s attempts to have more government control over banking arose from his belief that the private banks were resisting Keynesian-style financial stimulation policies and were not adequately funding the development of Australian manufacturing industry. With the exception of the banks, Chifley was generally very supportive of private industry, particularly manufacturing. So, while Tony Abbott and Malcolm Turnbull may occasionally accuse the Labor Party of being fundamentally socialist, it is many years since Labor governments attempted any form of nationalisation. Why the calls for reform? The national conference decision is not the first attempt to remove or substantially water down Labor’s socialist objective. There was also a concerted attempt in the early 1980s, in which Gareth Evans played a leading role. He published key arguments critiquing the objective. Some of the 23 sub-paragraphs that modify and explain Labor’s current objective date from that time. … ideological refoundation of the party took place through the revision of Clause 1V. Blair saw it as a central part of the modernisation process that separated “New Labour” from its socialist and, in his view, overly trade union past. Years before Blair revised Clause IV and trumpeted New Labour’s arrival, the ALP under prime ministers Bob Hawke and Paul Keating had been moving in a similar direction. The ALP began placing an increased emphasis on the positive role of markets and private enterprise in achieving the party’s aims of economic growth, full employment and equality of opportunity. Hawke and Keating had introduced their economic rationalist policies with the support of the trade union movement. They had even increased private profits by trading off real wage increases and some working conditions in return for providing superannuation, education and welfare benefits. The Rudd government did not embrace such economic rationalism as enthusiastically as Hawke and Keating had. Nonetheless, both the Rudd and Gillard governments still saw a healthy private sector as having a crucial role to play in achieving Labor’s aims. Kevin Rudd and – contrary to popular opinion – Julia Gillard both saw the ALP as already being a modern social democratic party. So, given that retaining the socialist objective hasn’t prevented Labor from developing pro-market policies, why is it still seen as such a significant issue? Why does it still generate passionate debate? The objective’s opponents argue that it is time to make a definitive and symbolic break with Labor’s more radical socialist past. They claim Labor needs to reformulate its social democratic objectives given that nationalisation is no longer on the party’s agenda. Since that clearly is the case, why are others still wanting to hold on to the objective? One reason is that the objective does reference a time when the ALP still had a critique of capitalist markets, even if a somewhat qualified one. Also, vague references to “democratic socialisation” – and only when essential to prevent “exploitation” and “anti-social features” – can potentially include a variety of regulatory measures or forms of public sector provision, not just nationalisation. The sub-paragraphs explaining the objective make that clear. Many left-wing ALP members are concerned that Labor’s embrace of market-based solutions has gone too far. After all, if there are no significant problems with relying on markets, why do we even need social democratic parties like the ALP? Consequently, Labor’s socialist objective has a much deeper significance than appears to be the case at first sight. Rather than just being an anachronism, it still raises issues about the ALP’s fundamental nature and political mission. Carol Johnson is Professor of Politics at University of Adelaide. Here is a definition in search of a term: what do we call a calculated political strategy to confuse the citizenry in order to gain an electoral advantage? For anyone who thinks clearly, and wants to minimise ambiguity in their communication, definitions matter. In political discourse certain terms have diverse interpretations so definitions are not clear-cut. Think of “freedom”, “democracy” and “equity”. But there are technical terms that have long-standing, unambiguous and uncontroversial definitions, so that experts who use them know exactly what they are communicating to their audience. One of those unambiguous terms is “tax”. A tax is a compulsory payment to a public authority for the purpose of raising revenue and sometimes also to change behaviour. The GST and exemptions to it is a good example. Unlike a fine, a tax is imposed on a broad segment of the community rather than on individuals. A carbon tax is a penalty levied on the carbon content of fuels. It’s paid by those entities responsible for the emission of carbon dioxide from the combustion of fossil fuels. So for every tonne of carbon dioxide that, say, a coal-fired power plant emits it must pay a fixed amount to the government. Paying the government for a permit to be able to engage in a certain activity does not qualify as being taxed. If it were then buying a fishing permit would be paying a tax, perhaps “a great big fish tax”. It’s worth noting that while imposing a carbon tax is designed to reduce the amount of carbon dioxide emissions, it does not attempt to determine the amount emitted in any year, say. An emissions trading is the opposite of a carbon tax. The government sets a fixed limit or cap on the amount of emissions that polluters can emit in, say, a year. Polluting entities must own a permit for each tonne of their emissions. The overall number of permits is fixed at a level lower than the tonnes of carbon dioxide that would be emitted without the cap. The demand for permits exceeds the supply. Permits to emit can be bought and sold (i.e. emission permits are “tradable”) so that their price is determined in the market according to supply and demand. So a carbon tax and an emissions trading system differ in a fundamental way: under a carbon tax the price of carbon emissions is fixed by the government and the amount of emissions varies; under an emissions trading system the amount of emissions is fixed by the government and the price varies. Anyone with a nodding acquaintance with economics knows this. And any politician engaged in the formulation or public advocacy of one or another ought to understand this essential distinction. In no sense can an emissions trading system be called a carbon tax. And yet various members of the Federal Government, led by the Prime Minister, have recently been attacking the Labor Party’s proposed emissions trading system (ETS) as a “carbon tax”. It’s reasonable to assume they know the difference between the two – the three leaders of the Liberal Party prior to the current one all promised to introduce an ETS. Environment Minister Greg Hunt has been particularly deceitful. He has followed his leader in describing Labor’s proposed ETS a carbon tax. Yet he understands the distinction perfectly well. He co-wrote a thesis titled “A Tax to Make the Polluter Pay” on precisely this topic. A number of quotations from it can be found here. Agnotology is the deliberate cultivation of ignorance, which does not quite capture the phenomenon we are witnessing, the deliberate cultivation of confusion. I invite anyone who knows Ancient Greek to coin a new term? Clive Hamilton is Professor of Public Ethics, Centre For Applied Philosophy & Public Ethics (CAPPE) at Charles Sturt University. John Stuart Mill (20 May 1806 – 8 May 1873) was a British philosopher, political economist and civil servant. He was an influential contributor to social theory, political theory and political economy. He has been called “the most influential English-speaking philosopher of the nineteenth century”. Mill’s conception of liberty justified the freedom of the individual in opposition to unlimited state control. “To prevent the weaker members of the community from being preyed upon by innumerable vultures, it was needful that there should be an animal of prey stronger than the rest, commissioned to keep them down. But as the king of the vultures would be no less bent upon preying upon the flock than any of the minor harpies, it was indispensable to be in a perpetual attitude of defence against his beak and claws. The aim, therefore, of patriots, was to set limits to the power which the ruler should be suffered to exercise over the community; and this limitation was what they meant by liberty.” – John Stuart Mill in ‘On Liberty‘ (1859). His magnum opus, A Theory of Justice (1971), was said at the time of its publication to be “the most important work in moral philosophy since the end of World War II” and is now regarded as “one of the primary texts in political philosophy”. His work in political philosophy, dubbed Rawlsianism, takes as its starting point the argument that “the most reasonable principles of justice are those everyone would accept and agree to from a fair position”. Rawls attempts to determine the principles of social justice by employing a number of thought experiments such as the famous original position in which everyone is impartially situated as equals behind a veil of ignorance. He is one of the major thinkers in the tradition of liberal political philosophy. According to English philosopher Jonathan Wolff, while there could be a “dispute about the second most important [American analytic] political philosopher of the 20th century, there could be no dispute about the most important: John Rawls”. Qualifications and their associated titles allow for quick identification of appropriately trained or recognised experts within a given field. They bestow legitimacy on the information provided to people looking for expert advice. But how does the average person decide who to reasonably trust when it seems anyone can call themselves a doctor? Traditionally, the title doctor was reserved for medical doctors, or scholars who’d completed postgraduate training to a doctoral level, and were recognised by their peers as an expert in their field. Indeed, a number of dictionary definitions appear to support these two categories. But doctor creepage has been hastening with extraordinary stealth over the last few years, particularly within health care. I can clearly remember assuming as an adolescent that chiropractors were doctors who specialised in a particular medical domain (back care) because the title Dr preceded their name. It wasn’t until much later that I realised that Dr Chiropractor or Dr Osteopath or Dr Vet were all equally deceptive for implying that people using the title are either medical doctors, or substantially more qualified than an undergraduate degree. To be fair, most medical doctors also have an undergraduate degree, but that involves six or seven years of tertiary training, similar to that undertaken in total by a doctor of philosophy degree. And I’m not suggesting that members of the aforementioned professions haven’t undergone university training suited to their practice (I’ll come to that substantially more serious problem later), but there appears to be no legal impediment to a number of bachelor degree graduates using the title doctor. In fact, I couldn’t easily find the answer to the question of whether there’s any legal reason why plumbers, hairdressers or retired beekeepers can’t use the title! Surely this situation is confusing because most people would assume a particular type of training (medical), or level of training (recognised expert in their field) goes hand-in-hand with this title. But there’s an even more serious related problem here, and that involves the questionable practice of representing certain kinds of “tertiary training” as comparable to university-level qualifications. 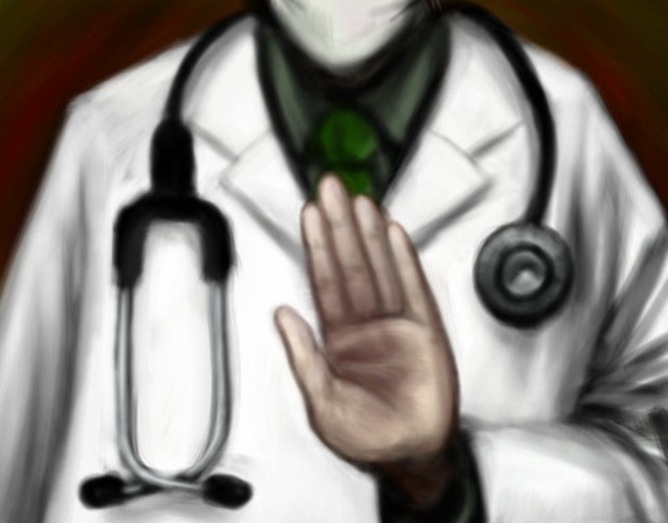 This practice is also becoming increasingly rampant in the health-care field. I was intrigued recently by a workshop reported by the press as being run by a “world renowned expert” allegedly “recognised as one of the foremost experts in the biochemistry of ADHD and ASD” (attention deficit hyperactivity disorder and autism spectrum disorders). I wanted to discover more about this presenter, whose name was followed by the letters CNC. After consulting the individual’s website, I discovered that CNC stood for Certified Nutrition Consultant, a qualification I had not previously heard. And here’s a tip from that experience for punters: if you type the name of a qualification into Google, and the first site in the list is Quackwatch, you’re probably justified in being suspicions about the validity of that certification. In this case, I was unable to find any mention that the person in question had engaged in any university-level education whatsoever. Although, to be fair, perhaps she has but chooses not to clearly advertise her education on her website. While this particular CNC-qualified expert has written a couple of books and frequently appeared in the media, I couldn’t find any trace of her authoring a published study, review, or even having presented a basic scientific overview of her “research” in any kind of peer-reviewed journal. When I tried to find out how one obtains registration as a CNC, I eventually found myself at its supposed credentialing website, which appeared to have some sort of requirement for tertiary training, but not necessarily at university-level. Indeed, training in a number of alternative health domains is not even vaguely scientific or evidence-based, despite the pretence of being so. This has led to a variety of colleges popping up offering all sorts of questionable “qualifications”. Now, I’m not suggesting that there’s anything wrong with people seeking alternative health options. But I dare say there’s very deliberate confusion being created by credentialing practices by these colleges, that attempt to mimic traditional markers of university-level training or expertise, presumably for personal or professional gain. For those seeking a specific type or level of recognised expertise, the inflation of qualifications via the appropriation of the title Dr is at best unhelpful, and, at worst, deliberately disingenuous. And those seeking a particular basis of advice (alternative versus scientific, for instance) have the unhappy task of navigating a conflation of scientific and alternative health qualifications from questionable tertiary training colleges. Apart from the confusion this creates, it suggests level of insecurity among some health-care practitioners who may be attempting to establish their legitimacy through stealth and deceit. * This article has been edited to remove an incorrect claim that Australian public universities do not offer bachelor’s degrees in naturopathy. Students can undertake a three-year Bachelor in Clinical Sciences at Southern Cross University with a double major in naturopathy and complementary medicine. There is also a three-year Bachelor of Applied Science in naturopathic studies at the University of Western Sydney. Rachael Sharman is Lecturer in Psychology at University of the Sunshine Coast. Noble cause corruption is corruption caused by the inappropriate adherence to a consequentialist ethical system, suggesting that persons ‘will utilize unethical, and sometimes illegal, means to obtain a desired result,’ a result which appears to benefit the greater good. Where traditional corruption is defined by personal gain, noble cause corruptions forms when someone, often in a position of authority, is convinced of their righteousness, and will do anything within their powers to obtain the execution of righteous actions. It is based on a belief that ‘the ends justify the means’, which can be ethically justified in exceptional cases, such as stealing medicine to save a person’s life. In the area of law enforcement, noble cause corruption is police misconduct ‘committed in the name of good ends’ or neglect of due process through ‘a moral commitment to make the world a safer place to live’. This can include fabricating or planting evidence to secure a conviction, lying in court or covering up other police misconduct. Conditions for such corruption usually begin where individuals perceive no administrative accountability, lack of morale and leadership, and the general absence of faith in the criminal justice system. These conditions can be compounded by arrogance and weak supervision. Noble cause corruption is almost never justified in law enforcement, because it undermines parliamentary democracy and the rule of law. In 1983, Carl Klockars critiqued the film Dirty Harry, as an example of the kinds of circumstances that seemed to justify what later became known as noble cause corruption. Within the story, three central actions demonstrate manifestations of noble cause corruption: illegal entry, torture, and murder. Klockars believed this problem, which he dubbed ‘the Dirty Harry problem’, was a chief consideration of police work. He details how police officers occasionally face problems in which they have to select between competing ethical codes. Often the choice is between legal means, which is playing by society’s rules though dangerous offenders may go free, or extra-legal means, which entails breaking the law to prevent truly dangerous offenders from committing additional crimes. In 1989, however, the term of ‘noble cause corruption’ was first coined by Edwin Delattre. Delattre was troubled that police officers might conceive of a goal or outcome that justified the use of questionable means, in particular, the use of force to obtain confessions. He argued that ‘some ways of acting were unacceptable no matter how noble the end.’ From Delattre’s work, the noble cause has emerged as a problem for the utilitarian commitment to outcomes, for it permits a society to be protected through aggressive and illegal policing tactics. At the Threatened Species Summit last week in Melbourne, Environment Minister Greg Hunt and Threatened Species Commissioner Gregory Andrews declared war on feral cats. Cats are thought to be a significant contributor to the decline of many threatened species. Targets in the released threatened species strategy include culling two million cats by 2020, creating new safe havens for threatened species (cat-free islands and sanctuaries), restoring habitat and emergency intervention for our most critically endangered species. Excluding cats using fencing is an increasingly important tool used to protect threatened species. New exclusion fencing projects received significant funding under the latest strategy. One of us (Katherine) was lucky enough to be asked to give a presentation at the summit on alternative methods of controlling feral cats. The following article summarises this presentation and highlights the importance of investing in a broad range of cat control methods. Cats are highly adaptable and highly variable, hence we must continue to search for their Achilles Heel and invest in a wide range of control methods. Widespread poison baiting for cats has come a long way in the last few decades with baits such as Eradicat, Curiosity and a new hybrid Eradicat bait being produced. These baits were developed after years of research conducted initially by the WA Department of Parks and Wildlife and are a soft meat sausage injected with 1080 poison or containing an encapsulated PAPP (Para-aminopropiophenone) pill. These baits have had most success in island eradications and areas where alternative prey are scarce. In order to kill a cat using poison baits, cats must first find and then ingest the bait. Unfortunately, cats hunt mainly using sight and sound so finding an inert sausage is a challenge for a cat. Large numbers of baits must be laid, the usual density is 50 per square km, 10 times higher than the recommended fox baiting density of 5 per square km. Despite this, many cats fail to find a poison bait before they break down and are no longer toxic. Even when cats do find baits, up to 80% of encounters do not lead to bait ingestion, with cats often ignoring, sniffing or avoiding baits when detected. This is because cats prefer to catch their own prey and will only ingest a bait when hungry. Non-target uptake can also be high – species such as crows, goannas and quolls can take more than half of laid baits in some instances. Successful baiting relies on using large densities of baits in areas with low food availability at the right time of year when cats are hungriest. Practitioners are continuing to develop ways of improving bait uptake and several important baiting programs received funding under the Threatened Species Strategy. A recent invention removes the need for cats to be hungry to ingest poison. An automated grooming trap squirts a poisonous paste onto the fur of the cat as it walks past a trap station, which it then ingests through compulsive grooming. Cats are fastidious groomers and pen trials have found 9 out of 10 cats will ingest the paste when it is squirted on their fur. The trap uses an array of sensors to restrict triggering to target species and is currently being developed for field trials around Australia. The grooming traps have a silent activation, can store up to 20 doses and can sit unattended for months at a time. Although unlikely to be used in broadscale applications, the grooming trap may be critical for protecting small threatened species populations and reducing the impacts of cats in areas where food availability is high. The grooming trap received much needed funding for further development at the Threatened Species Summit. Widespread indirect methods of reducing cat impacts are also important. Recent work has found that the Rabbit Haemorrhagic Virus Disease (RHVD) (otherwise known as Rabbit Calicivirus) released in 1995 has had a significant positive impact on many desert threatened mammal species. The range of species such as the Plains Mouse, Dusky Hopping Mouse and Crest-tailed Mulgara has increased by as much as 70 fold in the last 20 years due largely to reduced predation. RHDV reduced rabbit abundance by up to 95% in the arid zone of Australia which resulted in a natural steep decline in feral cats and foxes, the main predator of rabbits in that region. The increase in vegetation cover coupled with a massive decline in predation pressure has allowed these native rodents and marsupials to recover. This would undoubtedly be one of the most significant recoveries of threatened species in Australia. RHVD was relatively cheap, for an initial investment of only $12 million. The agricultural benefit alone totalled more than A$6 billion and the benefits to threatened species have been dramatic but remain unquantified. Other researchers have also found that by manipulating fire and stock grazing pressure, broadscale indirect benefits can be achieved for threatened species through a reduction in susceptibility to cat predation. These indirect benefits include making it more difficult for cats to hunt by increasing ground cover, and increasing the productivity of the landscape thereby allowing native species to increase their reproductive output and tolerate higher predation pressure. All cats are not created equal and recent work in the Flinders Ranges National Park has highlighted the impact of catastrophic cats on reintroduction programs. 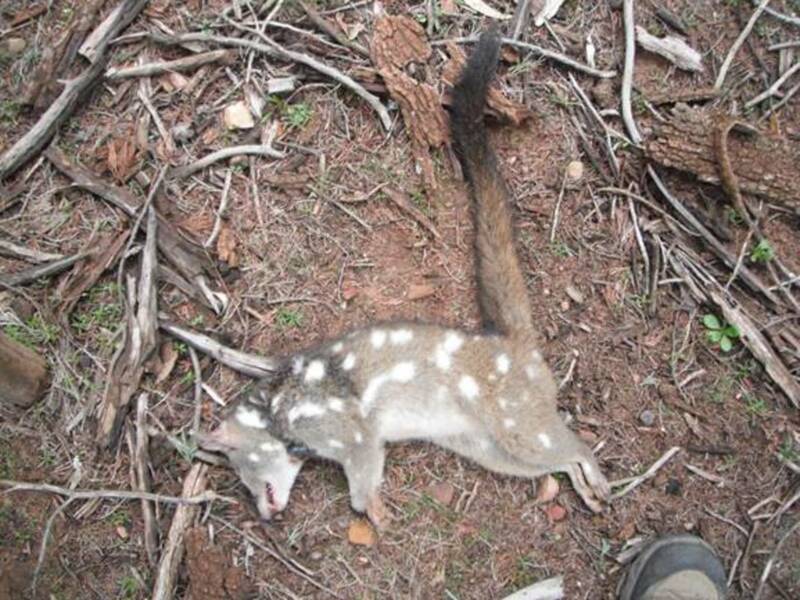 The reintroduction of the western quoll resulted in nearly a third of the quolls being killed by feral cats. DNA analysis indicated that quolls were killed by large male cats with most cats responsible for multiple kills (Moseby, Peacock and Read,in press,Biological Conservation). These specialist hunters could be targeted by making their prey toxic, in other words employing toxic Trojans (poison capsules implanted under the skin of prey species where they remain stable) to control specialist cats. Poison capsules can be implanted under the skin of prey species where they remain stable. If a cat kills and ingests a toxic Trojan, the capsule will break down in the acidic environment of the cat’s stomach releasing the poison and preventing it from killing more individuals. Research is continuing into this poison delivery device which may result in improved targeted cat control. Finally, an ARC linkage grant between the University of New South Wales and Arid Recovery is researching ways to improve the anti-predator behaviour of threatened species. Our native species did not evolve with introduced cats and foxes and hence may exhibit inappropriate or ineffective anti-predator responses. This prey naivety can lead to high susceptibility even to low levels of exotic predators. Containing our threatened species on off-shore islands or behind fences is potentially exacerbating the issue as they are not exposed to mammalian predators and can develop “island syndrome” where they fail to recognise predators as dangerous. The project involves trialling “in situ” predator training where low levels of predators are added to populations of threatened species for extended periods to improve their anti-predator behaviour. The theory is that natural selection and learning will lead to improved survival and behaviour of successive generations of threatened species. Whilst this may be a long term endeavour, ways of facilitating co-existence and increasing the resilience of our native species to exotic predators are urgently needed as it is likely that the wily feral cat is here to stay. The authors would like to acknowledge the following for contributions. Poison Baits – Dave Algar, Michael Johnston, Keith Morris; Grooming traps- Invasive Animals CRC; Broadscale indirect methods – Reece Pedler, Peter Bird, Rob Brandle Rick Southgate, Rachel Paltridge, Sarah Legge; Specialist Hunters – Dave Peacock; Improving Prey Responses – Mike Letnic, Dan Blumstein, Bec West. Ecological Horizons has received funding from Sporting Shooters, FAME, Bush Heritage and SA and Australian Govt for development of Feral Cat Grooming Traps. Katherine Moseby is Associate Lecturer, Ecological and Environmental Sciences at University of Adelaide. John Read is Associate Lecturer, Ecology and Environmental Sciences at University of Adelaide. “I’ve said it before and I’ll say it again – if you don’t think Apollo 11 landed on the Moon you are a colossal nob end and should get a new brain.” – Professor Brian Cox, on the 46th anniversary of the Apollo 11 moon landing. Changing wildlife: this article is part of a series looking at how key species such as bees, insects and fish respond to environmental change, and what this means for the rest of the planet. 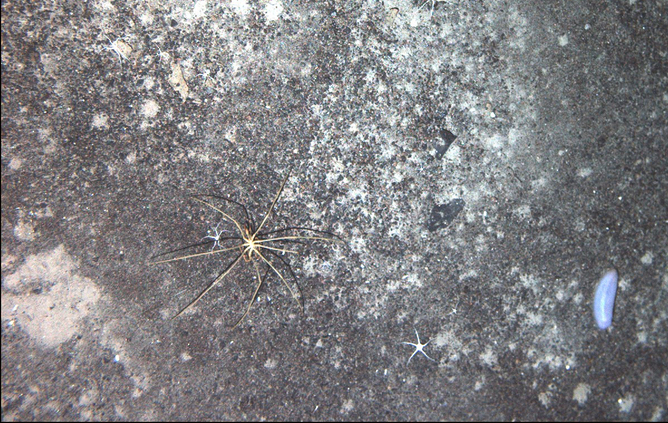 Hundreds of metres below the surface of the freezing ocean surrounding Antarctica, the seafloor is teeming with life. The animals living there have no idea that an army is on the brink of invading their tranquil environment. The army is composed of king crabs. 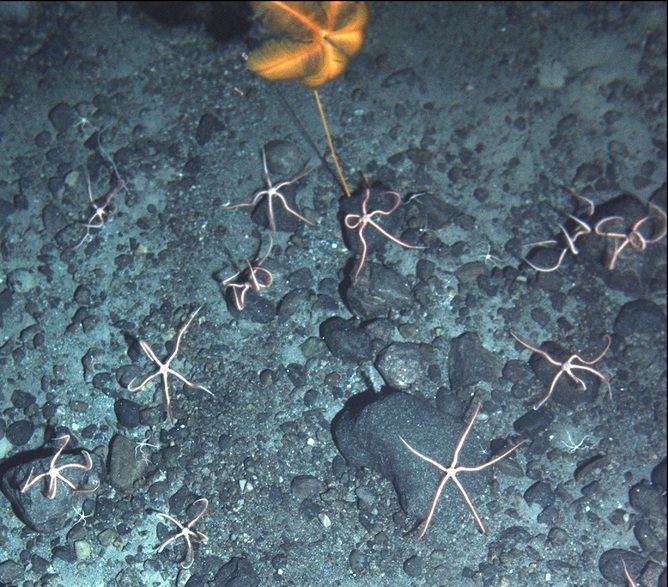 Until 2003, there were no crabs in this fragile Antarctic ecosystem. Now, driven by warming waters, their arrival heralds a major upset. The unique communities living on the continental shelf off Antarctica are found in no other place on Earth. Delicate brittle stars, beautiful sea stars, vibrant sea lilies, and giant sea spiders are among the spectacular inhabitants found there. The animals live side by side, with almost no predators to upset the balance. For millions of years, the cold water temperatures in the Antarctic have stopped most predators from surviving in this harsh environment. But this situation is rapidly changing. Climate change is increasing temperatures across our planet, and the Antarctic is no exception. Sea temperatures in the Antarctic are rising at a faster rate than almost anywhere else. With the increasing temperatures come new residents. Animals that have been absent from the continental shelf around Antarctica for millions of years are quickly returning. In every part of the world except the Antarctic, crabs are one of the major predators in seafloor communities. Their strong, crushing claws are deadly to snails, brittle stars, and other slow-moving animals. However, on the continental slope and continental shelf surrounding Antarctica, icy water temperatures have kept crabs away. Crabs naturally take up magnesium into their blood from seawater, and they can usually control the level of magnesium in its blood. But at very low temperatures they cannot regulate it. Instead, the magnesium builds up in their blood. It acts like an anaesthetic and eventually causes the crab to die. As a result, crabs have previously been unable to survive in Antarctic waters. Water temperatures on the continental slope and shelf around Antarctica are now warming to levels that crabs can tolerate. Although they and other predators have been absent from the continental slope and shelf around Antarctica for millions of years, one group, the king crabs, have been living in the neighbouring deep ocean. In the deep ocean around Antarctica, water temperatures have historically been warmer than on the continental shelf. But as shelf temperatures increase, the king crabs are beginning to move up the continental slope into shallower water. 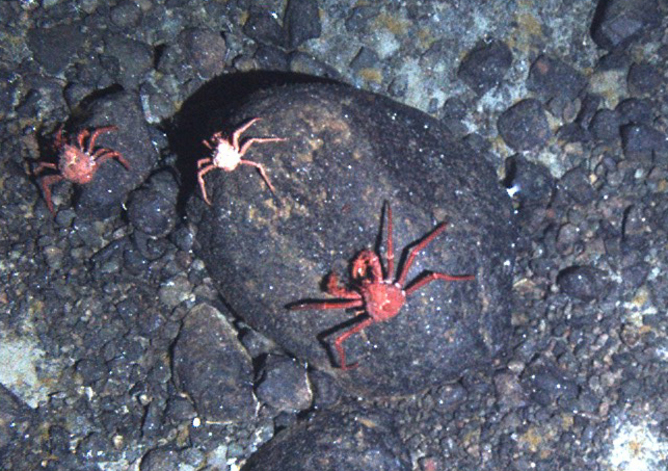 In 2003, king crabs were seen on the continental slope off Antarctica for the first time. Since then, an increasing number of crabs have been reported. They are seemingly marching up the continental slope and towards the continental shelf, with nothing to stop them. If king crabs move onto the shelf, they will be presented with a smorgasbord of invertebrates. King crabs do not care much what they eat. Any animal that falls into their path makes a delicious treat. In the Antarctic, the native inhabitants are particularly at risk. These animals have evolved without any major predators for millions of years. In other parts of the world, animals living on the seafloor have thick shells or hard skeletons to protect them against predators like crabs. But in Antarctica, they have very limited defences against predation. The animals have very thin shells, soft bodies, and light skeletons. They are an easy target for the rapidly approaching king crabs. Climate change is already allowing king crabs to move into shallower areas of the continental slope off Antarctica than ever before. As temperatures continue to rise, we can only guess that the king crabs will continue their invasion onto the continental shelf. When the crabs arrive, they are very likely to have a huge impact on the unique animals that live there. If nothing stops the king crabs from moving onto the continental shelf, the defenceless animals that currently live there may well become yet another casualty of climate change. Kathryn Smith is Postdoctoral Research Scientist at Florida Institute of Technology. Government departments and agencies routinely commission research to help them understand and respond to health, social and other problems. We expect such research to be impartial and unbiased. But governments impose legal conditions on such research that can subvert science and the public interest. 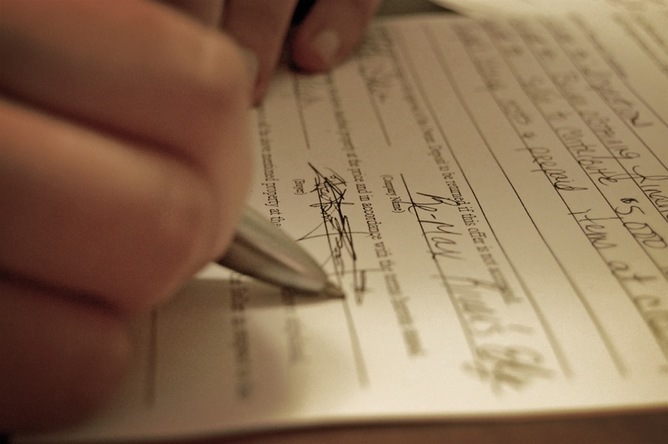 Gagging clauses in contracts permit purchasers of research to modify, substantially delay, or prohibit the reporting of findings. A 2006 survey of health scientists in Australia shows such clauses have been invoked by our federal and state governments to sanitise the reporting of “failings in health services … the health status of a vulnerable group … or … harm in the environment …”. And in a paper published today in the Medical Journal of Australia, I describe my experience of a contract negotiation with a government department where gagging clauses became an issue. My colleagues and I were pretty happy when we were notified that our application for funding to study a new treatment for risky drinking had been successful. But then we received a draft contract with clauses that could potentially be used to sanitise the study findings, prohibit publication, or even terminate the project without notice or explanation via a “Termination for Convenience” clause. That experience led us to initiate a formal study of the kinds of contracts governments use to purchase public good research in Australia. Draft contracts obtained through the Commonwealth’s AusTender website and its state equivalents show these documents often contain gagging clauses. And informal enquiries with universities suggest that Termination for Convenience clauses are common and accepted within the sector as a “cost of doing business” with government. It’s important to note that these concerns don’t pertain to specialist funders of science such as the Australian Research Council and the National Health and Medical Research Council. What I am talking about here are government agencies that commission research to guide their activities and policy advice to government. And while my area of expertise is health science, a brief examination of tenders for research in other domains suggests that gagging clauses are not unique to health. Private companies that provide research services to governments are motivated by profit, rather than public good, and may have no problem with accepting gagging clauses as long as they’re paid. But universities have ethical and legal obligations to serve the public interest. A noteworthy aspect of my contract negotiation was that the university involved would probably have signed the restrictive contract offered. The experience of other health scientists and the government department’s comment in my case that the contract was standard (essentially asking what were we complaining about) suggest such arrangements are the norm. 1) Governments are increasingly image-conscious and active in managing the information environment. Research seems to have become more a means of providing support for a policy position than for generating knowledge to guide policy. 2) Lawyers with experience in the corporate environment are more often being employed in government, drafting contracts that are adversarial in character where they used to be cooperative. A similar proclivity to employ lawyers from the corporate world in university research offices may have contributed to loss of institutional memory about universities’ conscience of society role. 3) The squeeze on research funding from dedicated sources, such as the ARC and the NHMRC, has encouraged universities to compete more for government contracts. 4) Casualisation of the research workforce means people undertaking research are less able to be choosy about the kinds of projects they undertake. In his seminal paper The Experimenting Society, Donald Campbell lamented the tendency of mid-20th-century American governments to commit to certain policy positions in the absence of evidence, rather than trying to generate the knowledge necessary to underpin better policy. Similarly, Australian governments undertake policy experiments of one sort or another, perhaps every week, yet little is learned from them. These need to be recognised as opportunities to extend knowledge of how to generate wealth and well-being, and address society’s problems. But that will require a change in the orientation of governments to recognising the need for evidence-based policy and, where evidence is inadequate, to contribute to generating relevant evidence through ethical funding of public good research. Effective partnership with scientists in the planning of evaluation is needed to accomplish that. In turn, universities must revisit their founding principles, which include obligations to undertake research that benefits the public they are funded to serve, and to protect and encourage the role of public advocacy. To be effective, there needs to be a sector-wide effort to modify the way governments purchase research. Situations in which secrecy about findings would be warranted would surely be rare and require strong justification. Kypros Kypri is Professor, Public Health, Epidemiology & Prevention of Alcohol-related Injury and Disease at University of Newcastle.